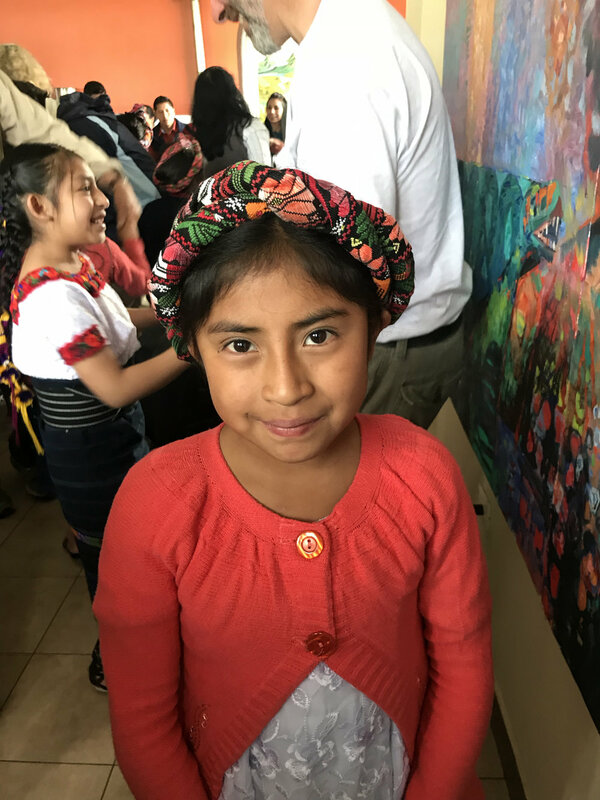 The first Art Ambassador artist’s trip to Guatemala was a phenomenal success. 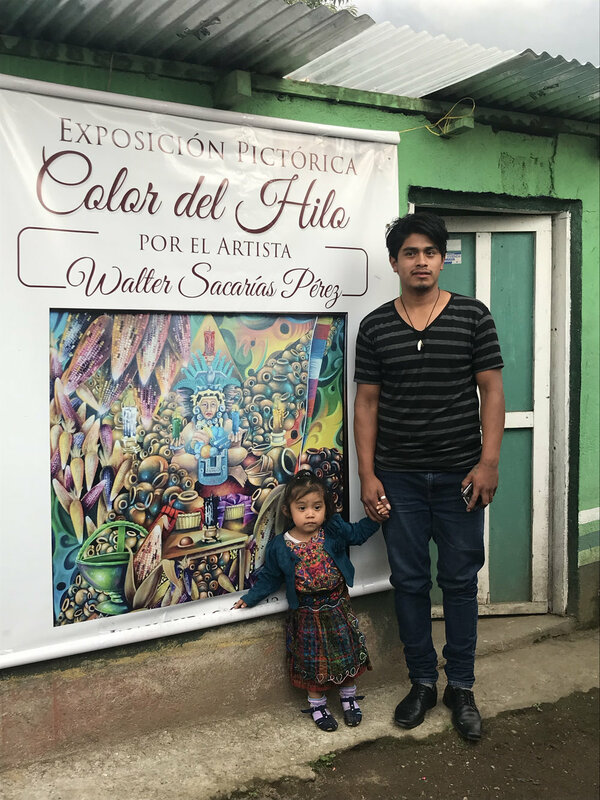 Twenty-six artists, photographers, and volunteers descended on Guatemala in November of this year. 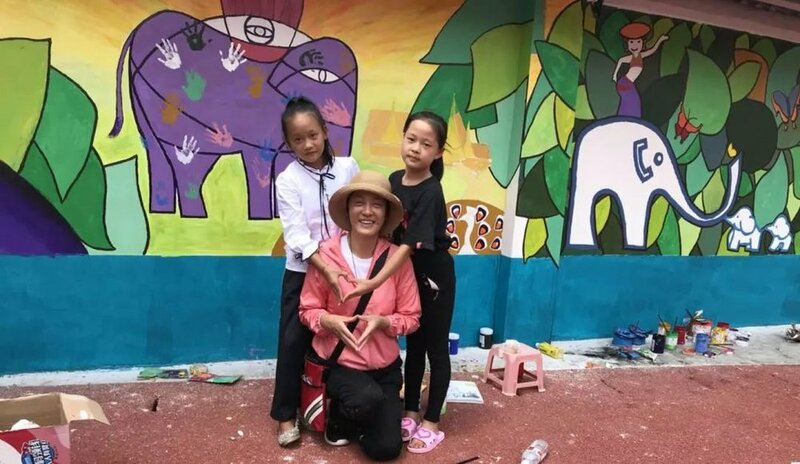 They painted, conducted classes with children and worked on building projects such as a water purification project, and they even built chicken coops (complete with chickens) for three deserving families in the area. All initially gathered in the picturesque city of Antigua for a few days of creativity. 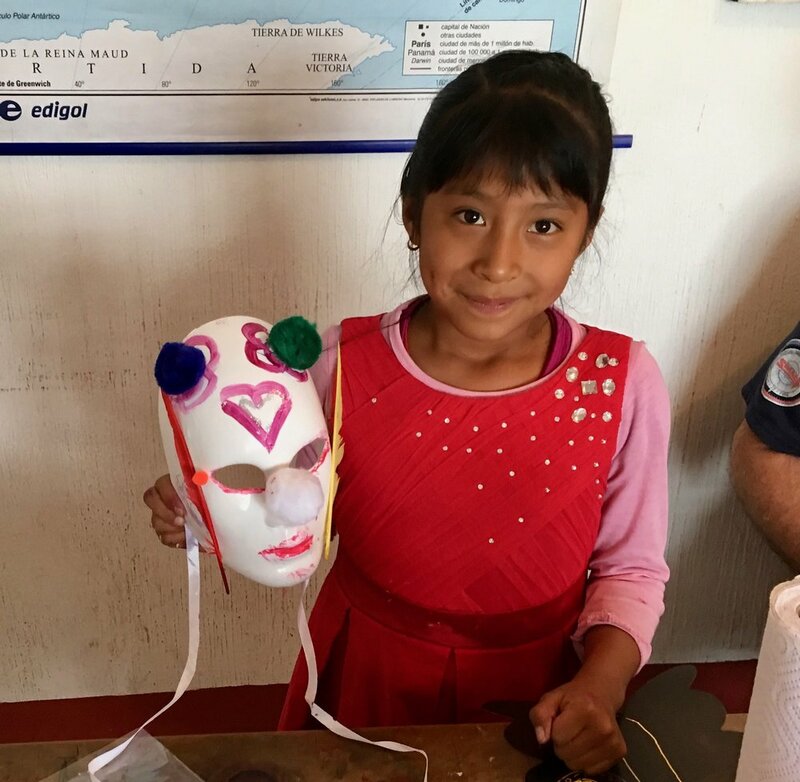 Then they moved on to Quetzaltenango, which was the home base for their work in the remote village of San Martin Chiquito where Xela AID has built their clinic. From there, all finally moved on for a restful finale at Lake Atitlan amid three towering volcanoes before heading home. Ten days of excitement, camaraderie, creativity and laughter. 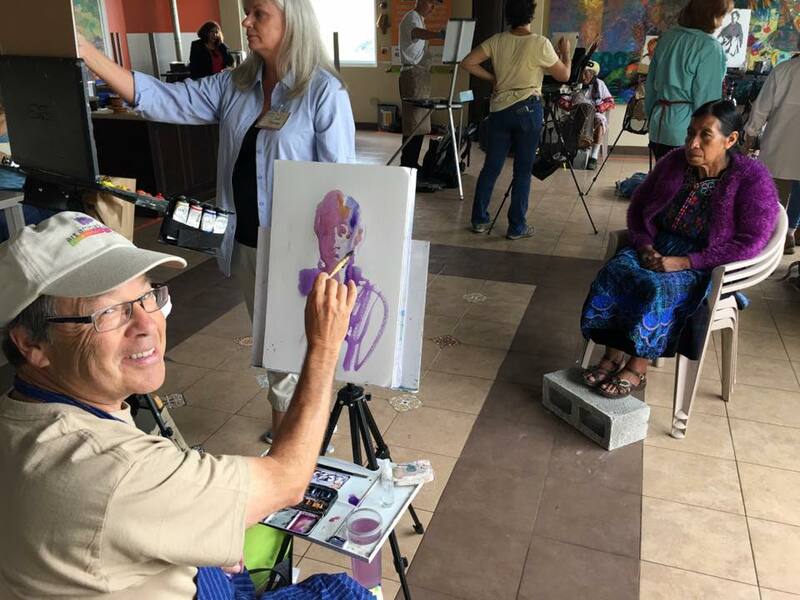 Art Ambassador will build on our partnership with Xela Aid and expand our presence in Guatemala to open the Art Ambassador for a Colorful World Plein Air Studio, Guatemala. Click on the Image below for more information! 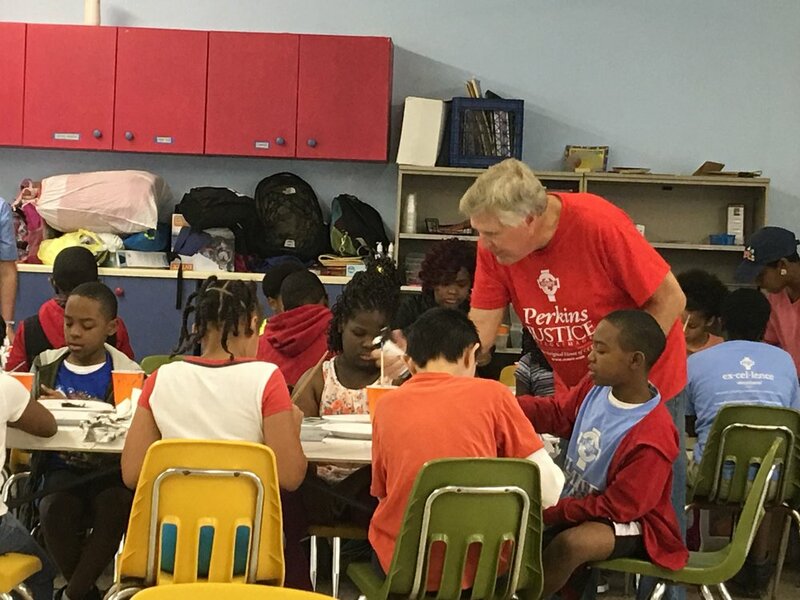 Joel Heger, a Director at Art Ambassador for a Colorful World, taught art classes to children at The Perkins Summer Camp, a program of The John Perkins Center in Jackson, Mississippi. “It's always amazing”, recalled Joel after his visit, “to see how children respond when given the opportunity to express themselves through art; depicting their families, friends and communities. I don’t know why I’m so surprised, because whenever we work with a group of youngsters and give them the tools and a little guidance and encouragement, they seem to blossom – with huge smiles across their faces”. The Center helps students become leaders in the areas of justice, community development, and understanding. The vision of the Center is to see generations of global urban leaders, organizations, and institutions engaging the culture and changing the world by contributing to community health and wholeness. The children with whom Joel worked varied in age from 5 to 12 years of age. Joel’s objective was to introduce the children to the idea that art is fun and rewarding in many ways. Joel, too, had fun teaching them the fundamentals of art. The kids were given full rein and, while listening to music, painted portraits of each other, their favorite animals, or whatever they wanted, on paper plates. Joel presented the children with awards in the form of paints, brushes, etc., to grow on. In addition, the kids received a personalized bag of art materials to keep and use whenever they’re inspired. These disadvantaged youngsters had a chance to have fun and learn. That also goes for Joel as he plans on returning next year. A Link is Provided Below to Submit your $500 Deposit! Read on! Kevin's fortunately found his gift early in life. When he was seven years old he knew he would be an artist. Art has opened many doors for a fulfilling life. He loves teaching, by giving back and sharing art to both adults and now especially to underprivileged children around the world. Perhaps Kevin will spark a child's passion that will light their way for life. 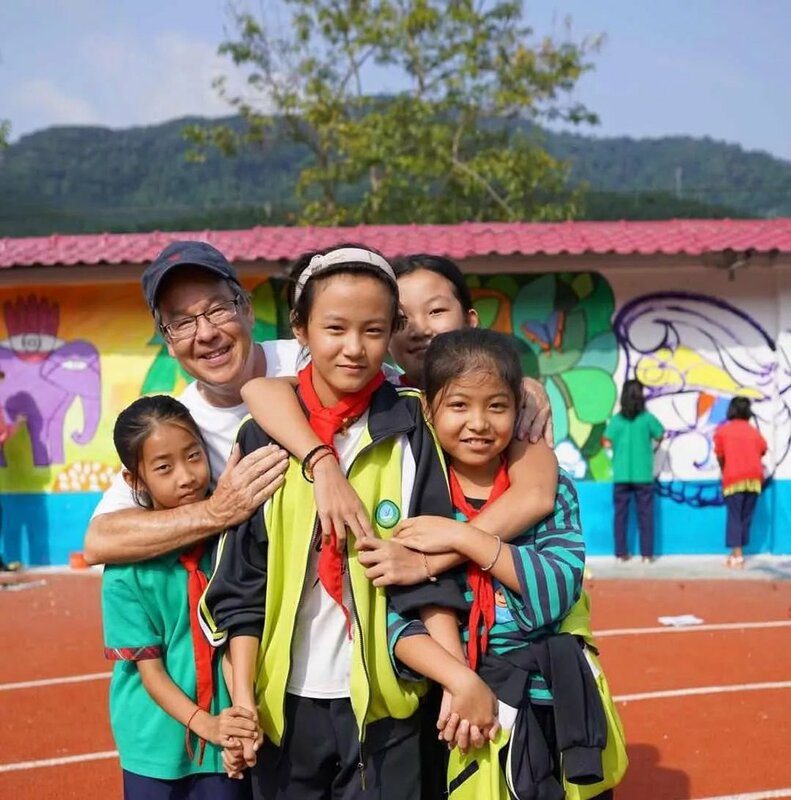 Volunteering with Xela Aid was the inspiration for Kevin founding Art Ambassador for a Colorful World, both non-profit organizations. 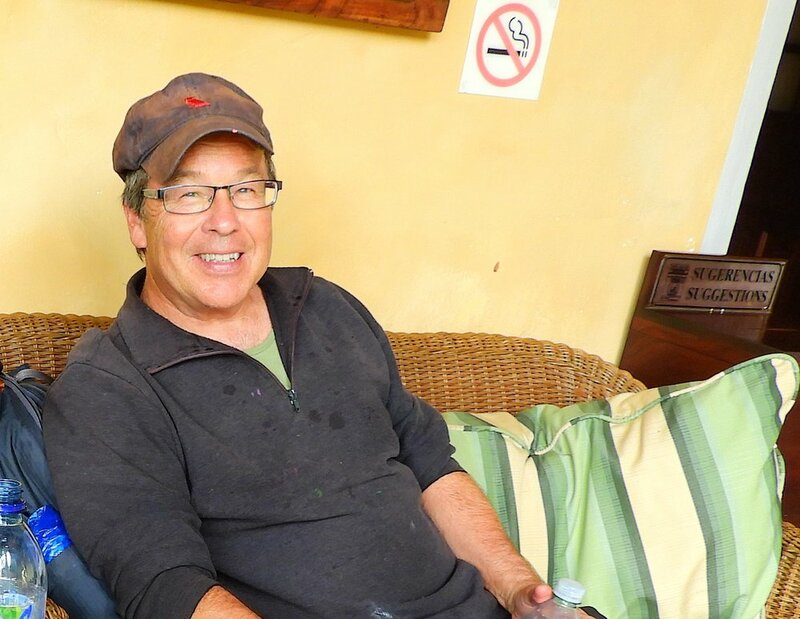 Join Kevin on a joint Xela AID and Art Ambassador trip filled with life changing moments. We will have many group activity options and time to paint on your free days. 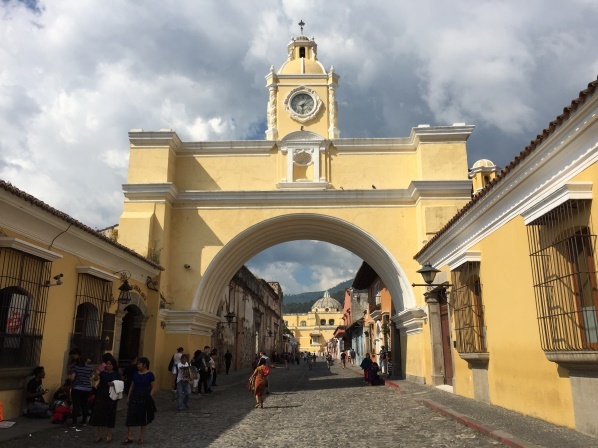 Antigua, Guatemala is among the best-conserved colonial cities in the world. It is a busy town full of colonial architecture and beautiful surroundings. The center of Antigua is under UNESCO World Heritage protection. The designation was based on the integrity of its 16th-century layout and the physical integrity of the buildings in the historic center. You may get the feeling time might have stopped some 300 years ago. Colonial history is always present in Antigua Guatemala. It combines with an array of cultural activities. These include art galleries and exhibits, performing arts, popular arts, films, forums, restaurants, cafes, and cultural tourism in general. Be ready to take hundreds of photos of this inspiring country and be prepared to experience Guatemala in a very unique way. 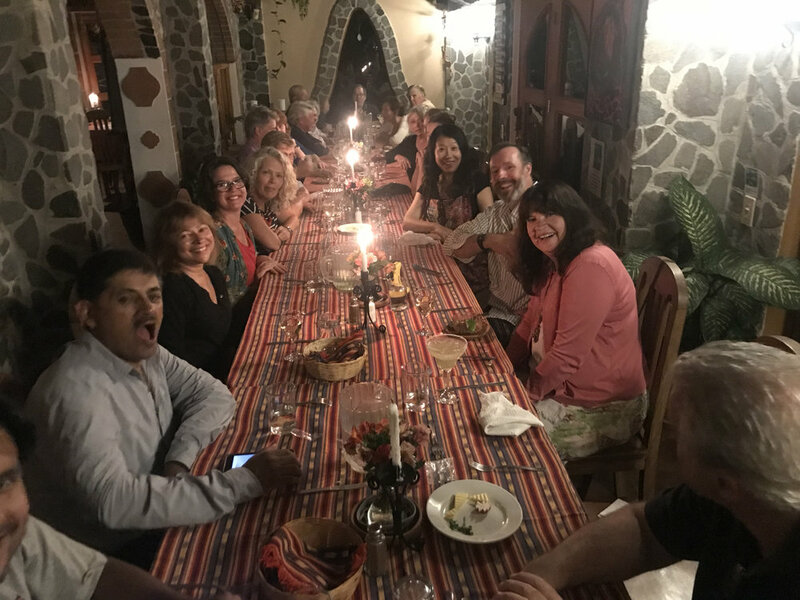 The week after visiting Antigua the group will travel to a small village, San Martin where Xela aid has worked with for over twenty-five years. 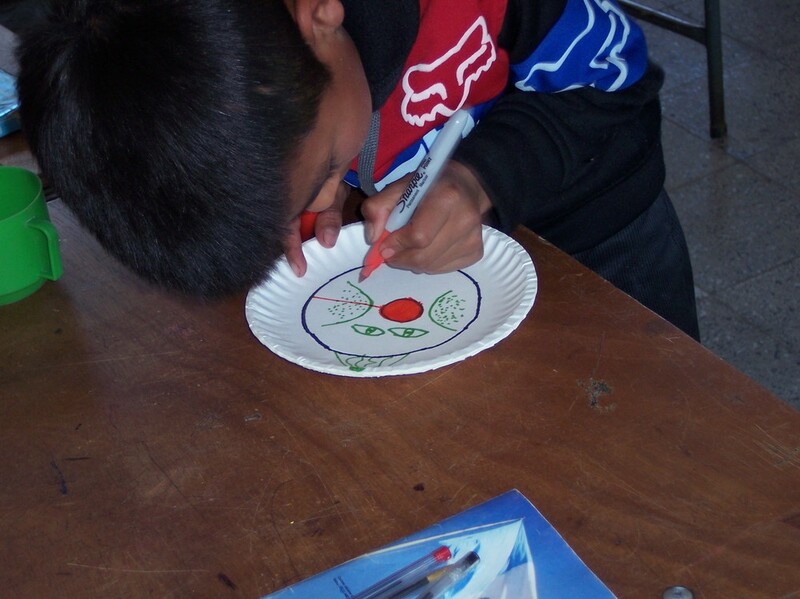 You have the option to paint and or volunteer with Xela aid projects. You will be welcomed like family. The accommodations are clean, safe and comfortable. You will have all of your transportation included. It will be without instruction but Kevin will surely offer some evening group critiques for free. Base Cost is $1862 per person double occupancy no matter if spouse or not, plus $100 for critique sessions with Kevin during the trip ($1962 total). Please note $650 extra for a single. This is not a workshop. Art Ambassador for a Colorful World participants pay $1962, but Art Ambassador for a Colorful World will receive $200 for every Art Ambassador who signs up which we will use for art scholarships for children! This is a Volunteer Service Trip, and Your Total Contribution is Fully Tax Deductible! Kevin Macpherson recently returned from China, where he was interviewed for Chinese television. Click to see the video. Chinese Television did a feature interview with Kevin Macpherson on his recent trip to China. Kevin talks about traveling to over 35 different countries worldwide in search of inspiration. 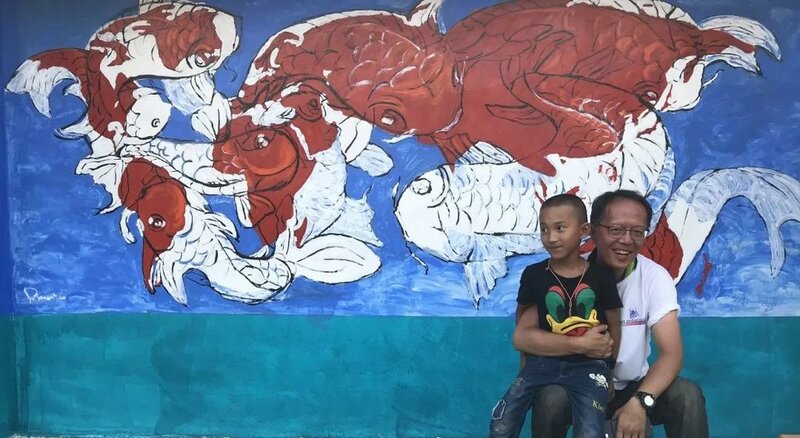 Kevin, Founder and CEO of Art Ambassador for a Colorful World, spreads joy and the art spirit to underprivileged children. This trip was a collection of firsts for me. As I started out on my first trip to Guatemala to work with Kevin Macpherson’s Art Ambassador roadshow along with our partner group Xela Aid - Partnership for Self-Reliance, there was no way I could imagine how this weeklong adventure would evolve, or what it would mean to me. 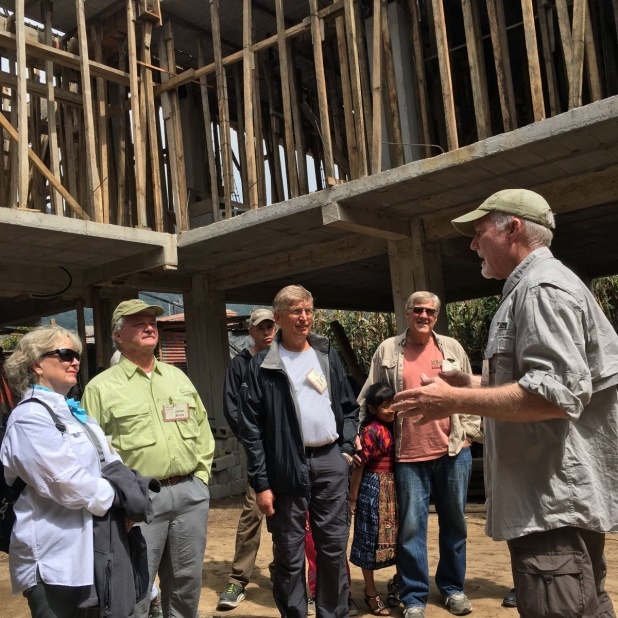 I arrived in Guatemala a few days before Kevin and Wanda Macpherson, and the Xela Aid contingency. I decided to arrive early to become acclimated to the cultures, language, personalities, and people of Guatemala. 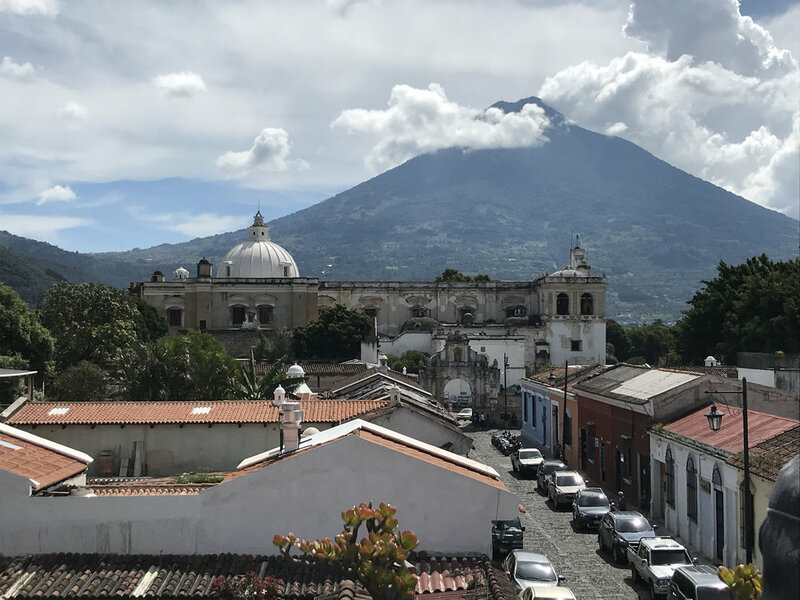 Our initial rendezvous point was the century old city of La Antigua, which I was told was the original capital of Guatemala. Antigua is a city somewhat lost in time. Sidewalks are narrow and the streets are paved in large cobblestones. These streets are so rough; it is impossible for anyone to speed around in their cars and trucks. Antigua is filled with ancient sites, and due to the many earthquakes over the years, the ruins of old churches remain standing nearly on every corner. Parque Central, the city square, bustles with people selling their beautiful crafts, tourists, and young shoeshine boys who insisted on polishing your shoes even if you’re wearing sneakers. My challenges began once the Xela Aid group and the other Art Ambassador representatives arrived. I quickly overcame the challenge of learning our group’s individual names, and on Sunday we began our real reason for being there. We boarded our bus and headed up to Quetzaltenango, which served as our home base. Interestingly, the name used by the locals for Quetzaltenango is Xela! Every morning we gathered for breakfast and were briefed on the day’s activities and schedules. 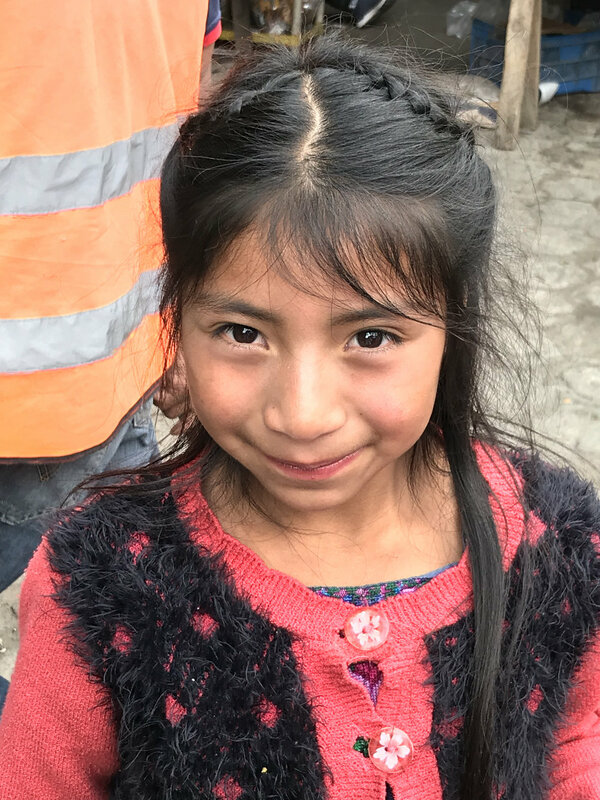 We then left our hotel to travel to a small village of San Martin Chiquito, where Xela Aid has been working for nearly 25 years. A well-staffed group of people, including doctors, a psychologist, a computer technology expert, and specialists in the areas of construction, spousal abuse, child welfare, and education oversees the activities there. In addition, it is the home of some of the country’s greatest weavers. As our bus approached the central square, we were serenaded by a seemingly endless blast of firecrackers. As the door of the bus opened, young children and their mothers rushed to hug us with their arms wrapped around our legs.. I had the distinct impression they did not intend to let go. Clearly, they were very happy to see us. All of a sudden, there was a real sense of LOVE in the air. This would continue through the week. I love who I am! • I love my family! • I love my friends! • I love where I live! • I love my history and my culture! • I love the things around me like my home, my school, the trees, the animals, and the flowers. These faces tell the story! This initial project was a smashing success, especially when I told them they could keep the totes and colored crayons. Although I had more kraft sacks than I personally needed, another member of our group also conducted two classes with the same materials and had a similar resounding success. On day two, I returned to the Las Nubes Elementary School to work with a group of third graders. My assignment for this group was to imagine the importance of the sun, which as we know, is the most important thing there is to support life on Earth. Today we will draw our own version of the sun.We have colored markers and paper plates to draw on. When we finish, we will enjoy your impressions together. For inspiration, and to gain a better understanding of our assignment, I shared this collection of unique sun images. The children had no trouble understanding my assignment and quickly began to create their sun impressions. There was quite a bit of chatter among the children, and they were all excited to dive in. We then returned to the Xela Aid Clinic and began painting a single panel mural on the wall of the newly completed and magical third-floor. Our mural was a totally collaborative event. Five of us painted the wall simultaneously. It looked much like a circus act. The subject was simply a lady, in traditional dress, peering out a window to a typical hillside farming area. In the end, it was a delightful addition to this gathering place. With our work now completed at the clinic, it was time for a little R&R for us worker-bees. On Friday evening, we loaded onto our bus and drove out to the beautiful, Lake Atitlán. 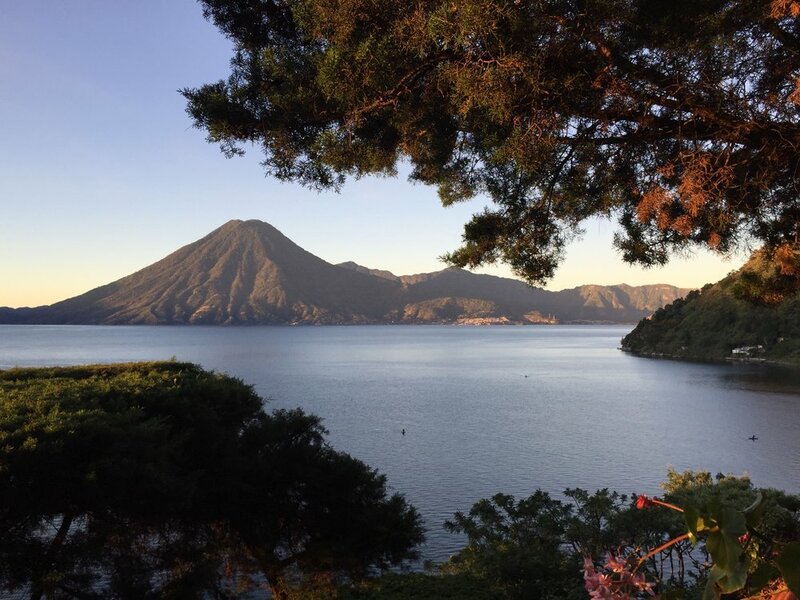 For many tourists and natives alike, this lake is possibly the single greatest destination in Guatemala. Lake Atitlán brings poetic outbursts from even the most seasoned travelers. Of volcanic origin, the lake is ringed by villages such as Santiago Atitlán, San Marcos, San Pedro, and Panajachel. There we had a fine time exploring the native surroundings, shopping and eating. In summary, this excursion was everything from breath-taking to humbling. 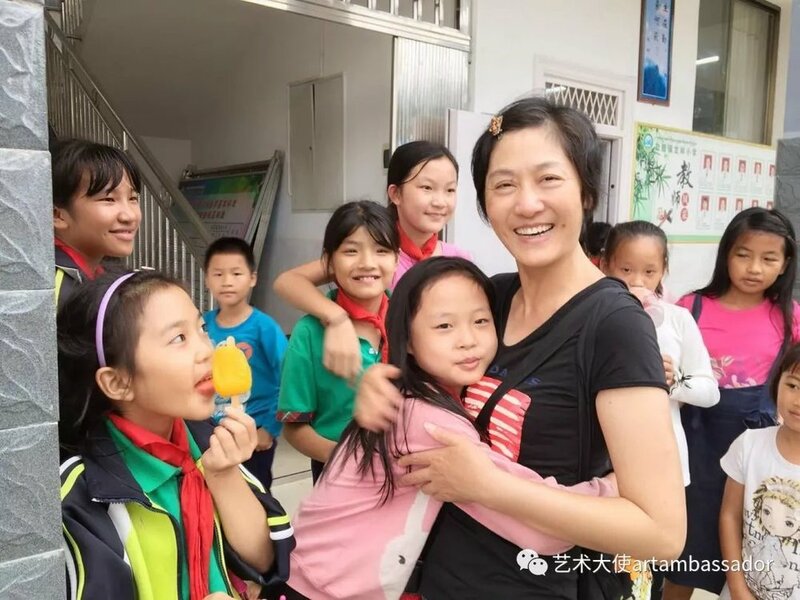 The happiness, love, and appreciation shown to us by all of the children and their parents, is difficult to describe. Words alone cannot explain the pure joy and satisfaction that each of us feels having been part of this Art Ambassadors adventure. Art Ambassador for a Colorful World was recently featured in Art of The West magazine's September/October 2015 issue. Click to read a PDF of the article. Spring: Can It Be Far Away? Anticipating the arrival of spring in his neck of the woods, our President, Jack Vogler, recently participated in a very unique art event with a group of day care children and older kids too. The winter of 2014 – 2015 has been a real struggle for everyone in the Northeast, especially for the children attending Ms. Trudi’s Day Care. Like so many others, they have become anxious about being cooped up in their homes and at the day care. 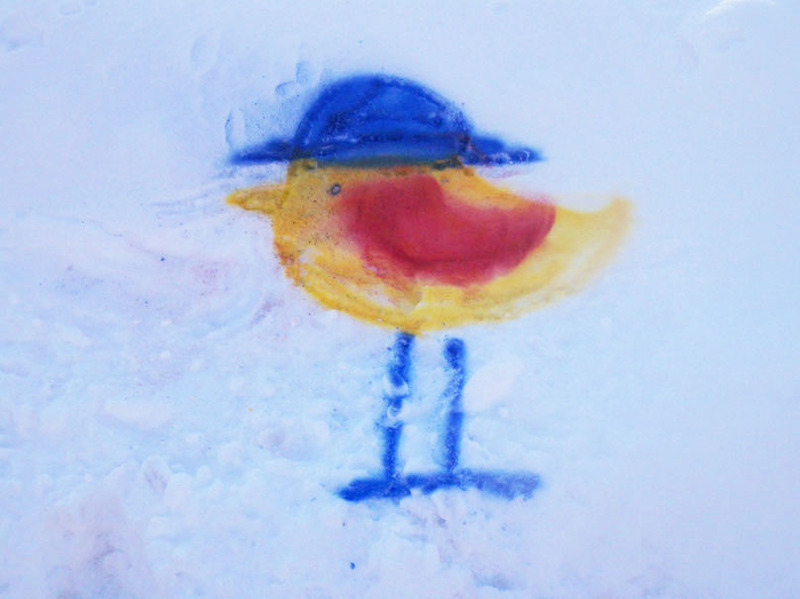 So Trudi came up with the bright idea to bring a little fun into the children’s day by using the mountains of snow as a canvas. 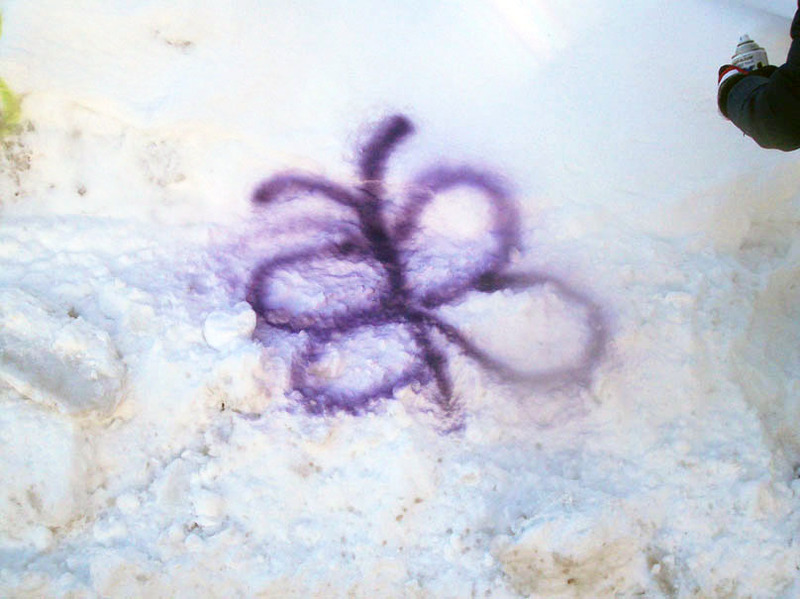 Yes, that’s right, a snow canvas! Armed with 23 cans of spray paint, the kids attacked . 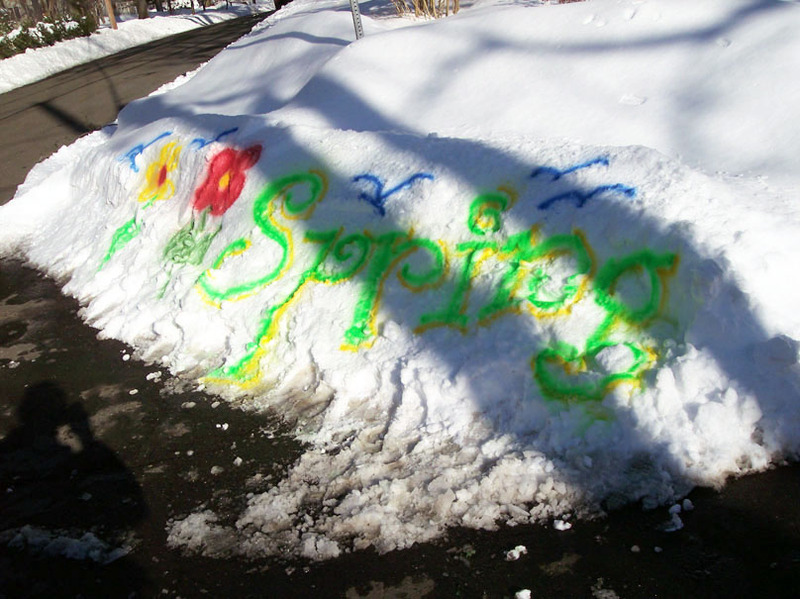 . . painting “Spring” on the snow. As it turned out, the party became a big neighborhood event too. The children, and their parents had a great time getting rid of the winter blahs. These pictures tell quite a story. Look at the excitement on their little faces as they use art, to brighten their young lives. 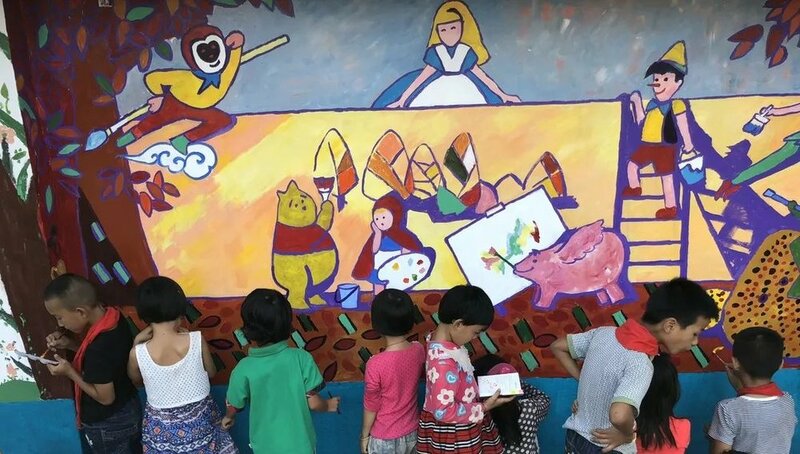 Art Ambassador For A Colorful World – Children learning, smiling, and having fun! Click on the images below to read parts 1 and 2 of an interview with Kevin and Wanda Macpherson at Peninsula Pulse. Impressions of China, an Art Show Reception and Fundraiser for Art Ambassador for a Colorful World, will take place at the Raymond Restaurant in Pasadena, California on Saturday, March 21, 2015 from 2:00 PM until 5:00 PM. World-renowned artists, Kevin Macpherson and Jove Wang, accompanied by six accomplished women artists, traveled to Jilin, China and Outer Mongolia in late 2014, to document a portion of China less traveled by Westerners. Painting from dawn to dusk for almost three weeks, the artists put their impressions of China on canvas. Back home in the U.S. they completed their paintings and created new works based on the thousands of photos they took. These colorful and insightful paintings, including those by Peggy Chang, Wendy Cordin, Laurie Hendricks, Christina Kuo, Julie Rogers, and Janine Salzman will be on display at the Raymond Restaurant during the event. After the opening, the show will move to the Laurie Hendricks Gallery, down the street in South Pasadena, where the works will be on display for a month. Art Ambassador for a Colorful World, led by Kevin Macpherson, is based on the idea that art has the power to change the world. 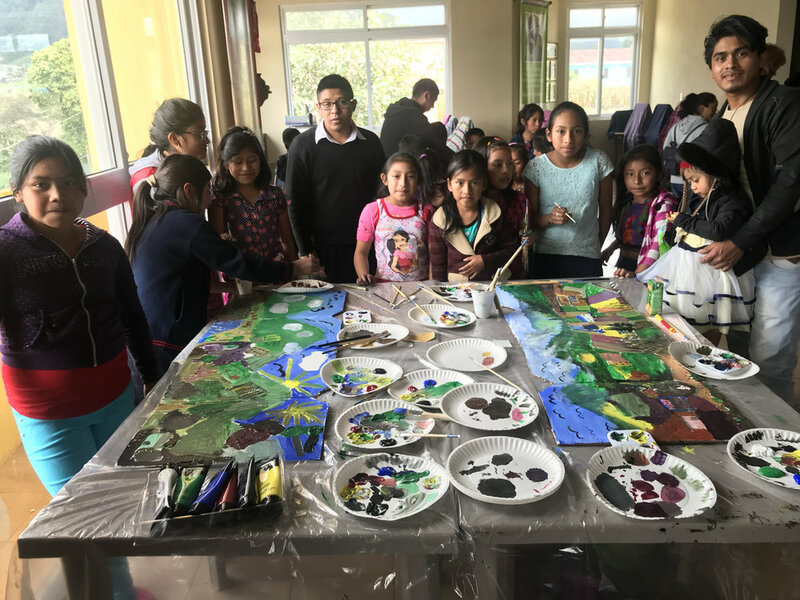 The non-profit helps children and adults in countries like China and Guatemala express their vision of the world through art. Kevin and the other art ambassadors provide individualized art instruction and lectures in conjunction with national governments, local museums and institutions of higher learning to build local capacity of art instruction and appreciation. A percentage of each painting sale will go towards funding this exciting program. Jove Wang was born in China, and at age 7 he apprenticed with Master Painter Gang Gu, before studying at the Jilin School of Art and graduating from Zhejiang Academy of Fine Arts with honors. In 1990 he immigrated to the United States where he soon met with success, and was commissioned to paint portraits of Cardinal Roger Mahony, and Los Angeles County Supervisor Michael Antonovich. 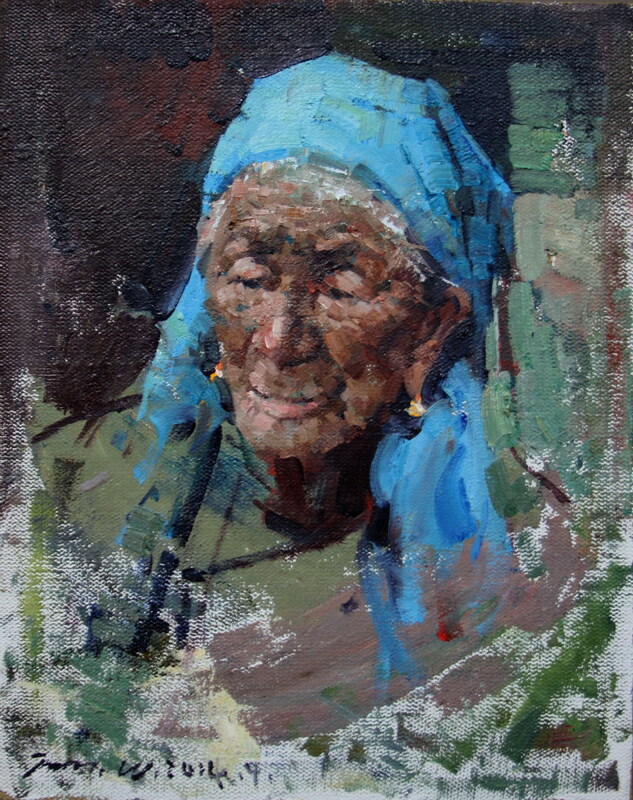 Mr. Wang has won numerous awards including Best of Show in the California Art Club’s 88th Gold Medal Show and in the 8th National Oil Painters of America Show. His work has been exhibited in the Pasadena Museum of California Art, the Pasadena Historical Museum, the Laguna Beach Art Museum, the Carnegie Art Museum, the Bowers Museum, as well as the Museum of Jilin, China. 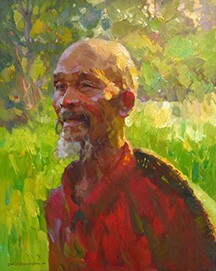 Jove Wang is a Signature Member of the California Art Club. American Impressionists Society, Signature Member of the California Art Club, member of the Salmagundi Club and founding member and first president of the Plein Air Painters of America. He has been recognized for his accomplishments and influence by numerous organizations. His work has been featured in more than 75 publications, books, television series and videos and he has written three popular books on landscape painting, that are published in the U.S. and China. 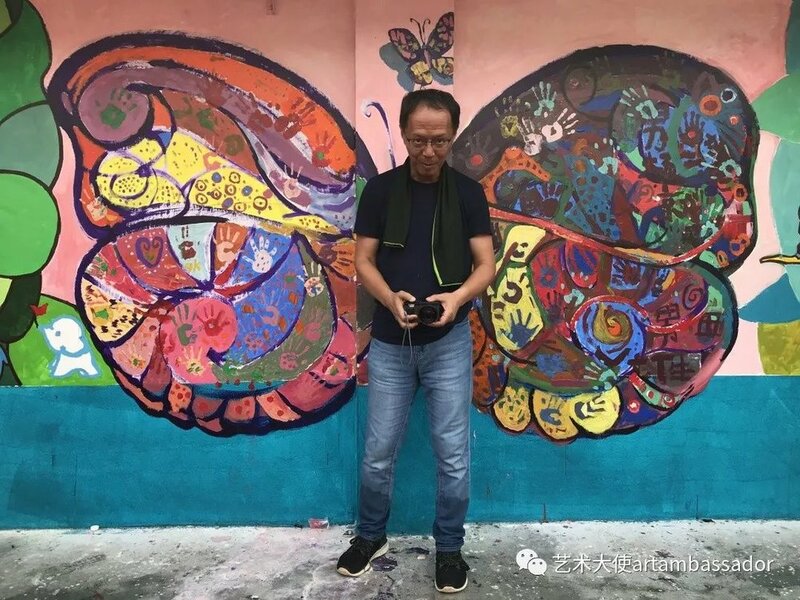 Kevin visits and paints in China several times a year, and also founded the Art Ambassador for a Colorful World foundation. The Raymond Restaurant is located at 250 South Fair Oaks Avenue in Pasadena, and features an innovative, contemporary menu in a casual-fine dining setting. Executive Chef Tim Guiltinan creates classic American cuisine with global influences like Gambas y Papas Bravas, wild shrimp paired with fried potatoes, spicy tomato sauce and garlic aioli. Utilizing a mix of modern and classic cooking techniques, Guiltinan combines familiar ingredients with an exotic flair to produce a truly singular style. Hidden in the back, the world-renowned cocktail bar, 1886, shakes craft cocktails with hand-cut ice, freshly-squeezed juices, and a hand-selected arsenal of quality spirits. The wine list features a varied selection of domestic and international wines from both premier and boutique wineries. Join them for brunch, lunch, dinner, cocktails, or reserve space for a special occasion. Impressions of China will move to the Laurie Hendricks Gallery and be on display from March 26th until April 18th. The Gallery is located at 1504 Mission Street in South Pasadena, California and is open Thursday through Saturday from 11:00 AM until 5:00 PM and also by appointment. The gallery shows Plein Air paintings and The Burgess Collection which features paintings, watercolors and limited edition prints from the 18th Century to the present. Please call (626) 664-1427 for more information, or larger photo files. On August 2nd along with Xela Aid, members of Art Ambassador for a Colorful World arrived in Quetzaltenango, Guatemala. It is fitting that we aimed to connect such a place with art. The environment is a living canvas, from the lush greens rolling over the mountains, the endless fields of maize, to the beautiful hand made garments worn by the Guatemala women. After the scenic drive, we settled in to the Hotel Modelo, a quaint and beautiful spot. At breakfast the next morning, we are told by the owner that he is the fourth generation of his family to run the hotel. A legacy lasting since 1916! At that moment, any pangs of homesickness were immediately assuaged. A 45-minute bus ride separated us from San Martin, the village where our friends at Xela Aid have been doing incredible work for the last couple of decades. They have turned previous despair in to a treasure trove of opportunity and hope for the future. We arrive at the clinic, the hub of activity. Upon exit we are swarmed by women and children. They give hugs and joyous greetings. There is something that can almost be described as magical about the affection we received by people we had never met in our lives. Though I had come with the intention of making an impact, it quickly became clear that the impact was to be made on me. We were immediately set on the work to be done. The doctors had hundreds of patients from all around that had come to see them. The patients were plagued with ailments such as bronchitis, amoebic dysentery, and a plethora of other issues stemming from the lack of access to clean water. An unfinished house for Julia and children awaited running water, furniture, and a fresh coat of paint. Finally, many eager children were excited for the art activities planned by Kevin and the other members of the group. The first three days went by quickly. The house was coming along, the doctors saw patients as quickly as they could and did as much as their supplies allowed them. The children delighted with the new friends and fun of the art classes. A mob of young children followed Kevin around. The childlike aura of curiosity that surrounded him as an artist immediately made him a friend and mentor. The same respect was given to the many Xela Aid workers, who consist of teachers, doctors, and translators. In the short time they have been in San Martin, they have led many children to a better, educated life. The children aspire to attend the university and become leaders of the next generation. Some have even come back to work for the same cause that changed their life. As this was written, we were only three days into our trip, and we felt we'd gained a lifetime of experience. We are all certainly humbled, and plan to let this fabulous experience drive us as we finish up our work in San Martin. Wanda and I just returned from a wonderful adventure in Guatemala. We spent 10 days working with 22 other volunteers for Xela Aid. An organization dedicated to assisting the small village (Mam pueblo) of San Martin to build a sustainable lifestyle. 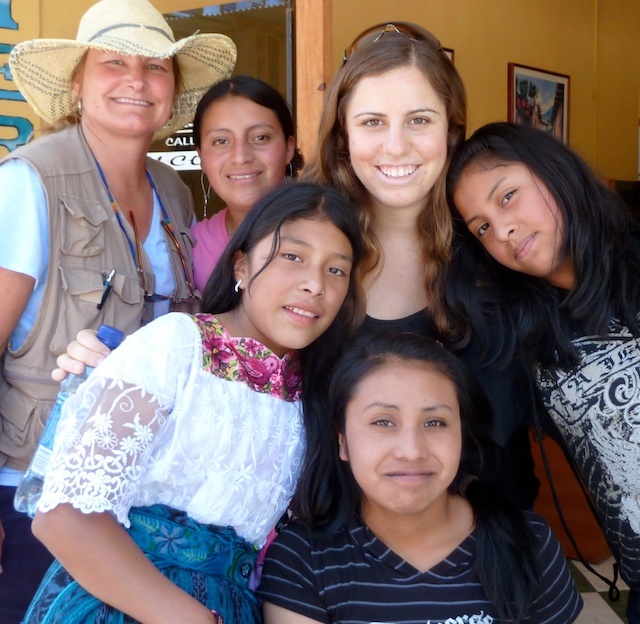 This was our first visit to Guatemala and a first to work with an aid group. Our hotel was in Quetzaltenango (Xela) a larger city about 40 minutes away from San Martin. 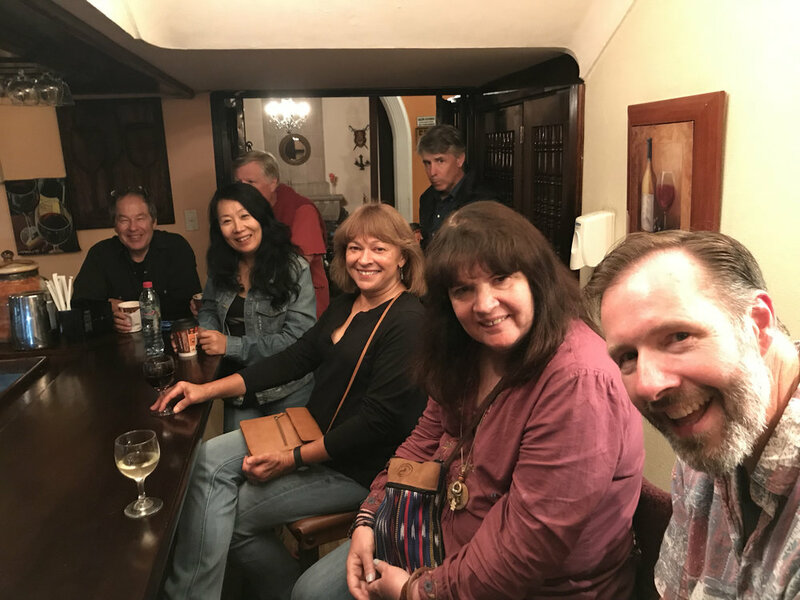 Our group consisted of young and old from all parts of the United States, Hawaii and Canada including a nurse, 5 college students, a doctor, biologist, anthropologist, geologist, actors and other specialists. Some in the group like us were on their first mission with Xela Aid and others on their twentieth annual excursion. People pitched in with all sorts of skills helping with construction, electrical, medicine, water purification and reading. Last year there was a ground breaking for a small tienda (store) built for the women weavers Co-op in the village. This trip the store was wired with electricity, painted and furnished with display cabinets. The hand woven products were priced, arranged and the store was open for business on the last day of our visit. This particular project was fully funded by one family on our trip. They saw the potential for these hard working talented ladies to earn some income selling their art. She will also create a web site in conjunction with the store to sell the weavings online. If they can sell art in a remote village such as this we all have a chance. Xela Aid also supported another group of ladies making sausages (chorizo) for sale to the locals. We had a taste of their product and they were delicious. Xela aid purchased a large freezer for the sausage ladies. Now they can make, safely store and sell more products. I wondered what I could offer as I have no skills and my IQ really drops when I put a tool in my hand but Wanda and I went to the grade school and performed a couple days of art for about 50 students. Like a three ring circus we juggled between two fifth and six grade classes. One of our young college student volunteers was fluent in Spanish so she helped us immensely translating my art lessons. First we had children draw with markers their friend’s face on a balloon. We taught the proper placement of the eyes, nose, mouth and ears on a head. Most of these children never had an opportunity for art in the classroom. It was so worth the experience just to see the joy on their faces. They were all enthused and had fun but also all took it serious. We brought pencils, paintbrushes, paint, and paper plates. 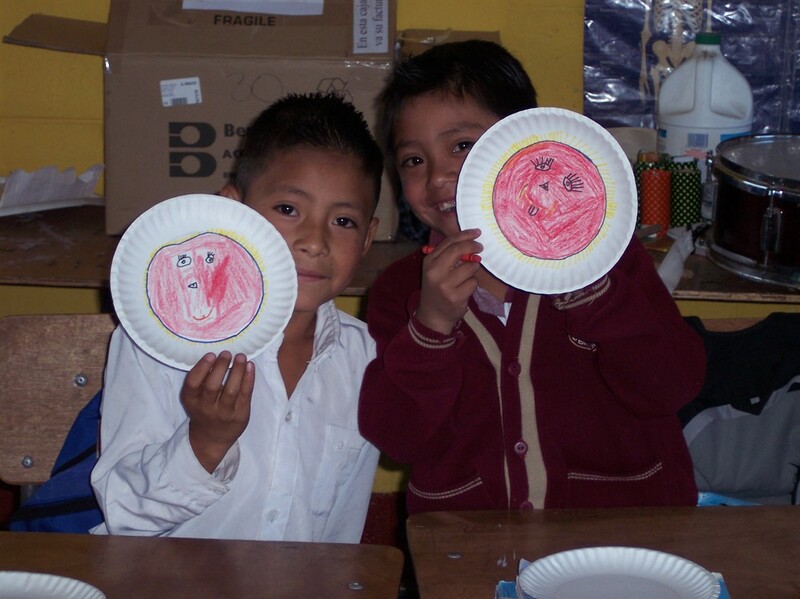 After learning the proportions of the face we had them paint their classmates portrait on the paper plates. While all the volunteers were painting the store, distributing purified water systems to households and treating all the people needing medical attention, I painted portraits of a few the women dressed in their everyday traditional hand woven clothing (Guipils). Each village has a unique traditional pattern to their weavings. The women made for great models with the ability to sit quite still. I did my best to make them feel at ease, get them to smile, but many were very conscious of their poor teeth and did not want to reveal their golden grin. Obviously their harsh existence shows on their faces and many look older beyond their years. During the week I would photograph them when they were unaware. 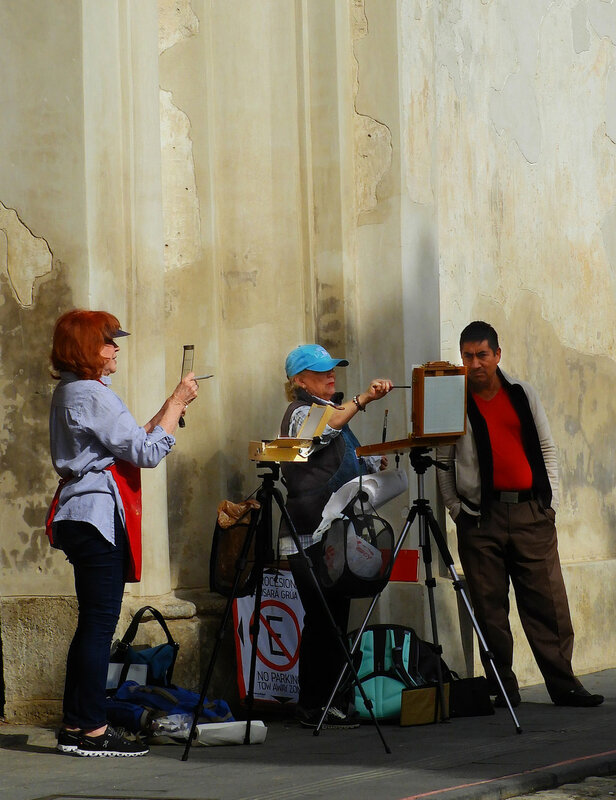 I plan to paint a portrait of each of the 13 weavers of the San Martin Tienda Co Op. I didn’t have enough time to paint them all from life, as would be my preference so I photographed them. My goal is to make greeting cards for them to sell and have copies of each portrait hang in their Tienda alongside their beautiful weavings. 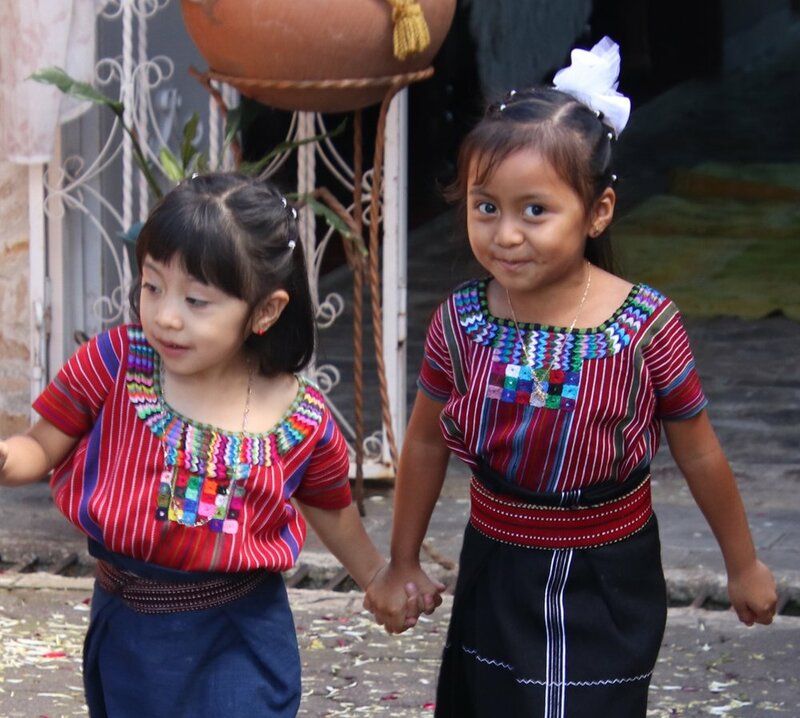 Most Guatemalans speak Spanish, but each region also speaks their distinct native Maya language. This area their native tongue is “Mam.” There are 27 different minorities most of these people are decedents from the ancient Mayan culture. The village of San Martin sits at 8000-foot elevation with lush green mountains, many rows of cornfields and other various vegetables cling to the steep hillsides. Milky fog would drift in almost every afternoon. We were here in Guatemala during the rainy season. We saw many colorfully dressed women carrying heavy loads on their heads and a baby strapped on their back. Early one morning we loaded up two school buses with 160 villagers for a field trip to the Pacific coast. Many have never seen or stepped into the ocean and most don’t know how to swim. The ladies were still heavily dressed in their cool weather garb. No one had bathing suits but all eagerly squeezed on the bus for the three and a half hour journey. The road snaked from the cool high country all the way down to the hot tropical coastline. The bus driver managed to hit every pothole rattling us all as we sat 4 to a seat with children on top of children. Large grins soon filled all the faces. They were overwhelmed with joy to see and smell the ocean air and dip into the warm water for the first time. We all held hands to form a safe chain on the water’s edge. We cautiously waded in knee deep together. The waves were forceful and the undertow strong. Their traditional long skirts must have weighed a ton soaked in salt water but it did not dampen their fun. We all went back to San Martin hot, salty, wet and tired. 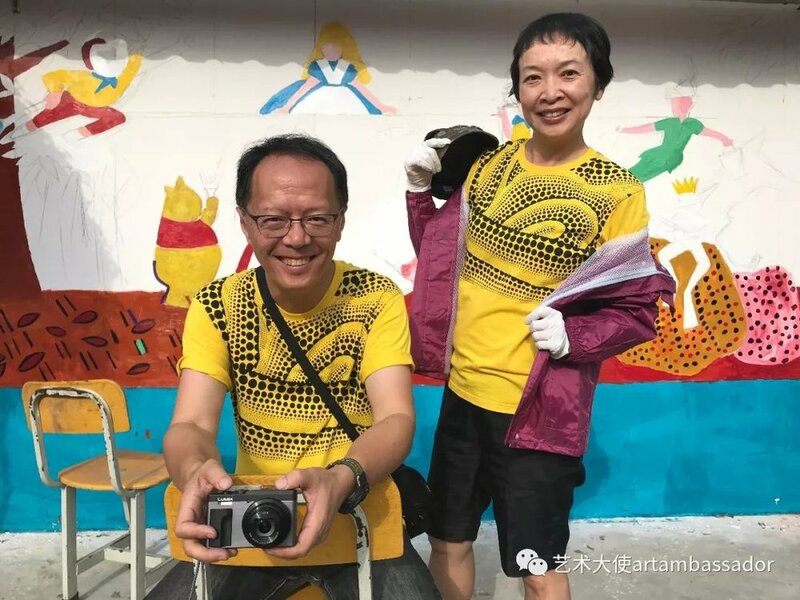 We questioned if Wanda and I could contribute to an aid trip like this but the portrait painting was really well received. Many watched the magical process and all felt a sense of dignity, as I captured their likeness. This was another great adventure brought to me by painting. Guatemala has some safety issues for travelers but wow, what a visual feast. The colorful costumes are not for ceremony but for their everyday wear. I found some local (not touristy) markets that were unbelievable. I snapped thousands of photos for future reference. I enjoyed roaming the streets and talking to the vendors in my broken Spanish sprinkled and confused with Chinese and English. We came home to our place in Baja Mexico very exhausted but richer in spirit. 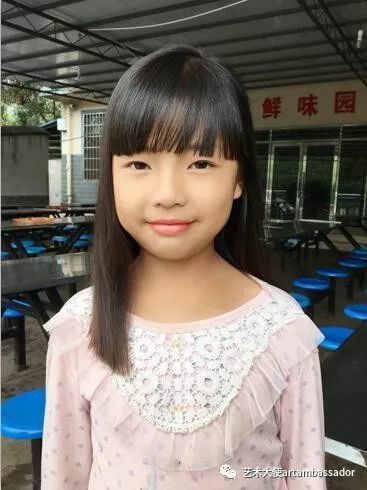 We also became sponsors of four children. Three of which their mom and dad just left them. Fortunately one woman has brought them into her own home but struggles to even feed her own children. Our aid will help the four children attend school. Xela Aid sponsored quite a few children through the 20 years that they have been visiting Guatemala. We had the opportunity to meet two young adults that were sponsored 19 years ago. This brother and sister are now grown up and have families of their own. The young woman became a teacher and the brother is now the school principal in the small village of San Juan along Lake Attltlan, quite a testimony for the sponsorship of Xela Aid. The money afforded the children to stay in school become productive citizens, now giving back and encouraging the next generation. All anyone can hope for is an opportunity. This war torn nation has so many obstacles for their indigenous people. We can offer a helping hand but the hard work and motivation must come from the individual. Succeeding in art is similar. It really boils down to only you. Dedication, desire, hard work, years of study and practice is the only real means of becoming a really fine artist.